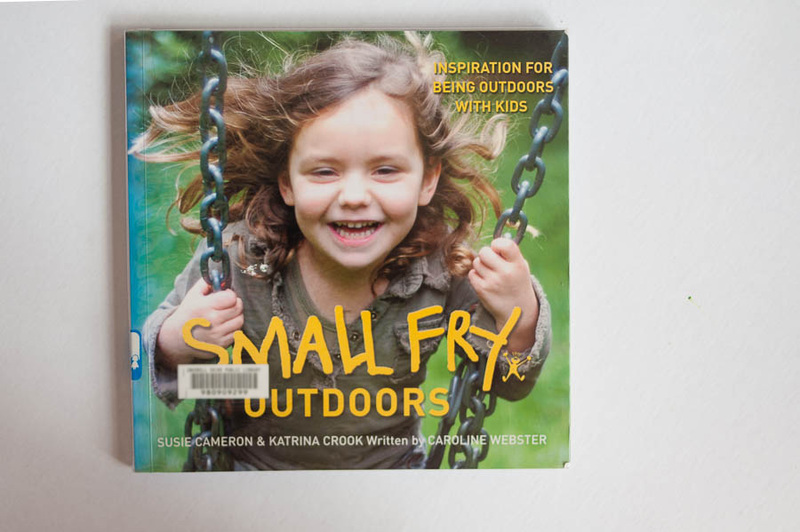 I spotted Small Fry Outdoors, one day when I was scanning the parenting shelves during story time, and it is a cracker of a find. It was full of so many great ideas for getting out and enjoying the outdoors with little people. I especially loved that each section (it was organised by seasons) included right near the front what we should be planting in our vegie garden, which is something the children are really into at the minute. After reading this book, I’ve shifted my mind set from the garden being a thing daddy does with them, to something we all do together, and we now have a daily garden check scheduled into our afternoons. it was also useful being an Aussie book that used the word “autumn” – it gave me confidence in what it was telling me we should be planting. 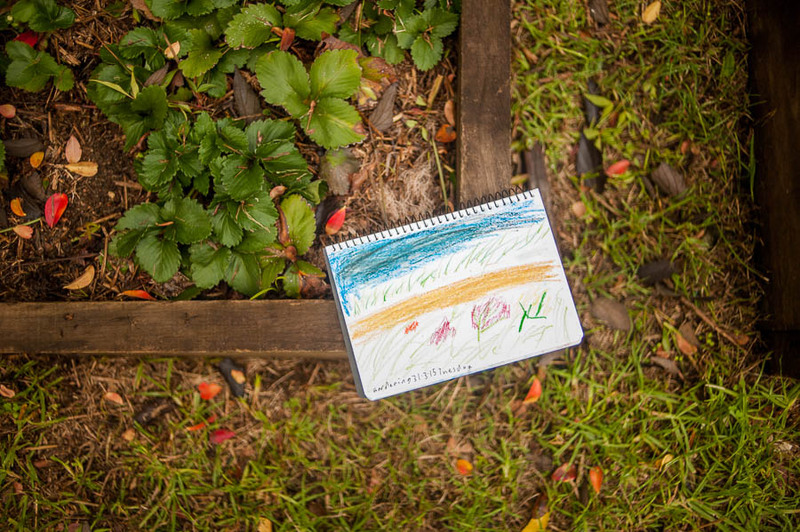 One of the ideas in the book which we have embraced with gusto is the idea of a nature journal. 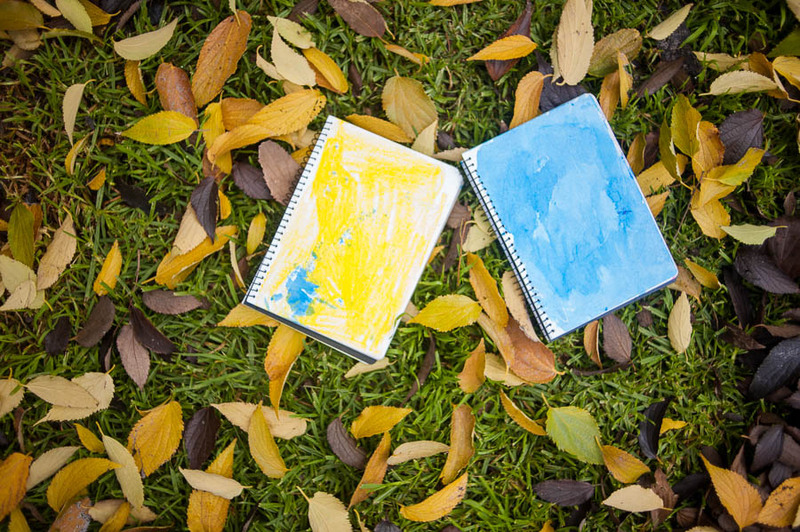 Above is Bear’s page after we spent some time in the garden one afternoon, and below are Boy2 (left) and Butterfly’s (right) journals. Boy2 used watercolours that bled through to create a picture of the beach during a recent weekend get away, and Butterfly’s page is some watercolour resist we did one day looking at the clouds. As someone who is not naturally an outdoors type (nooooo, I hear you gasp in surprise, we would never have guessed! Sorry to burst your bubble, dear reader, but I am most definitely an indoors type of girl), I found it to be a great resource for actively engaging with the tiny army & our environment. Would I recommend this book? Definitely! Would I buy this for myself? Yes! Hi Rachel, well after spending a lovely afternoon with a friends kids last week, with me weeding and them on the search for tadpoles, salamander and frogs, I can really imagine that this would be a good read. But there is that point about the seasons as you mentioned and planting the right things. Right now I am about to go on holidays for a long time so I don’t want to start the veggie garden. But there Are lots of things that can be planted when I get back in mid summer. I love when people I follow on these making blogs/podcasts review books, it is a nice change to the normal things we write about or podcast about. I hope you are having a lovely day down in Auz or is it OZ? !